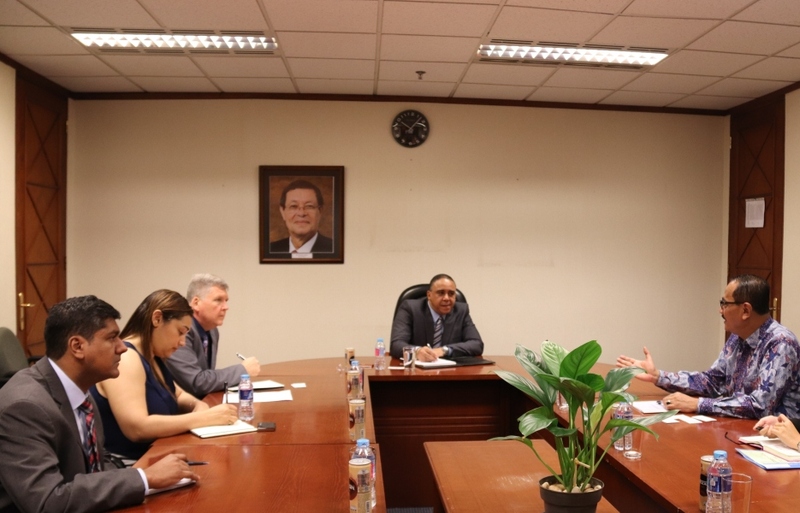 On 20 August 2018, Director for Non-Aligned Movement Centre for South-South Technical Cooperation (NAM CSSTC) Ronny Prasetyo Yuliantoro paid a courtesy call on Ambassador of South Africa to Indonesia Dr. Hilton Fisher at the Embassy of South Africa in Jakarta. 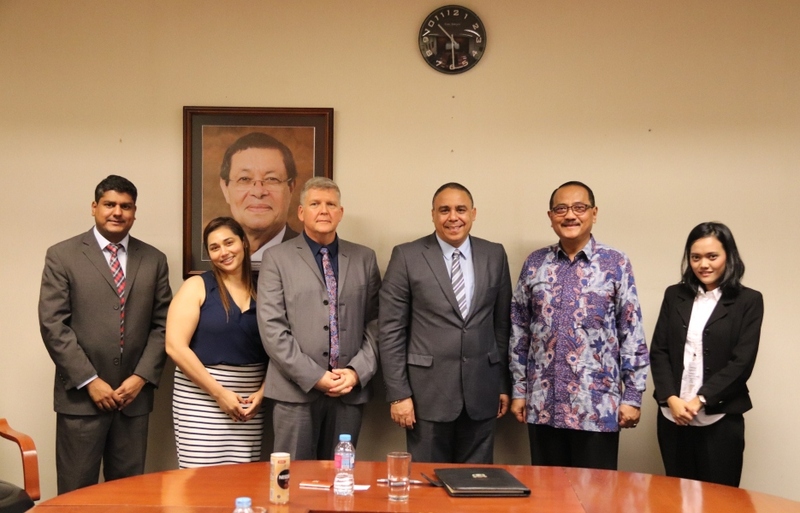 The Director expected that his recent appointment could increase cooperation between the NAM CSSTC and the Government of South Africa as NAM CSSTC’s Governing Council (GC) Member and Chair of Indian Ocean Rim Association (IORA)-partnering organisation of NAM CSSTC. During the meeting, the Director reported revitalisation process of NAM CSSTC and its participation during the “8th Bi-Annual Meeting of the IORA Committee of Senior Officials (CSO).” He also provided updates related to NAM CSSTC’s GC and explore the possibility of organising GC regular meeting once in three months. Furthermore, he also conveyed that since 2001, participants from South Africa have been attending 30 capacity-building activities organised by the NAM CSSTC and numerous partnering organisations/institutions. NAM CSSTC’s Report during 8thBi-Annual Meeting of the Indian Ocean Rim Association Committee of Senior Officials (IORA CSO) on Implementation of Memorandum of Understanding between the NAM CSSTC and the IORA.